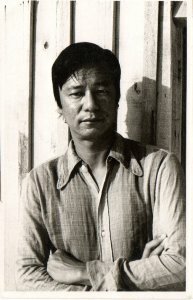 Not many Singaporean writers deserve the accolade of literary pioneer as much as Goh Poh Seng (1936 – 2010). He wrote what is now widely recognized as the first Singaporean novel in English, If We Dream Too Long. He was also the first playwright to attempt to represent Singlish on stage. His poetry, still undervalued and under-studied, was innovative in its formal methods and subject matter. The posthumous publication of his book of short stories, Tall Tales and Misadventures of a Young Westernized Oriental Gentleman, is certainly an event, long in the making, eagerly awaited for. Written in the last years of his life, when Goh could draw on a lifetime of literary exploration, the stories depict his life as a young medical student in Dublin in the 1950s. Organized in a roughly chronological sequence, the book traces the start of his great voyage, his subsequent immersion in the worlds of a Catholic boarding school, an Asian student hostel, a grand Anglo-Irish home, and the pubs of Dublin, his first sexual experiences, and the discovery of his poetic vocation. Key to the last were his meetings with such Irish literary giants as Samuel Beckett and Patrick Kavanagh. The latter in particular was to be instrumental in fostering in Goh not only a sense of vocation, but also a desire to write about home and its darker side, exile. SP is proud to bring you the story “A Star-Lovely Art,” in which the young Goh meets the much older poet, the man who left the dirt-poor village of Monaghan for the big city of Dublin. I first met Patrick Kavanagh by chance when we both shared a tiny table at the Coffee Inn, a popular establishment off busy Grafton Street. This area was crawling with undiscovered writers, artists, actors and dancers, and their hangers on. Dilettantism was rife. I was one of the small numbers of foreign students in Dublin at that time. We were conspicuous and exotic, like rare orchids, or some such thing. There were advantages and disadvantages, obviously, but this is not the moment to consider the issue. suffice it to say that I felt different, accepted my difference, if not to exaggerate it. This had contributed to my becoming an outsider. Also, I considered myself a poet, although I had not yet written anything. I was somewhat self-conscious about this, as if I had made a wrong claim. I felt the thrill of mutual recognition whenever I was with another poet. I believed then that a poet was a special person, although I would be hard put to define just what this specialness consisted of. So that mid-afternoon when Patrick Kavanagh came into the Coffee Inn and took a seat at my table, I was so overwhelmed, I became speechless. Of course, I recognized who he was, one of the finest living poets in Ireland. The man who called poetry “a star-lovely art”! Just think, I was sitting across the table from a true master of poetry, a man I venerated. Such a god-given opportunity to have a heart-to-heart talk with this live angel of a man in the flesh, but I was struck dumb, only able to mouth inane small talk. That brilliant, profound conversation I had wanted to conduct with Patrick Kavanagh remained only in my head. I was so ashamed. What must Kavanagh think of me? An idiot for sure! It was a laughable situation. for the two of us to sit in such close proximity and not address each other would be unnatural. So we did talk, but only about the weather, where we came from, and other inconsequential titbits. It was obvious that he was bored. I yearned to open, to reveal myself and my poetry to the poet. I was sure that he would understand me. I studied Patrick Kavanagh closely that afternoon, throwing stealthy side glances at him now and then. The place was packed, the collective voices trapped in that small room made conversation difficult. One had to shout, to raise one’s voice, in order to be heard. It even affected one’s brain, making thinking difficult. That may be part of the reason our conversation was rather laconic. The most noticeable feature about Paddy was his hat, which sat on his head all the time. It was a brown, battered thing, time-worn, sharing all the vicissitudes gone through by its owner. Like a pet dog, it followed him around loyally. I found it peculiar that he kept it on his head all the while he was in the Coffee Inn and I wondered whether he kept it on all the time, even to bed or when bathing. My curiosity was piqued as to what his head really looked like beneath his hat, the structure and shape of it, its physiognomy. and his hair. Was it plentiful and untidy, or thinning? Was he going bald? Another peculiarity were his eyes which were somewhat obscured by the reflecting quality of a pair of cheap plastic spectacles. Behind the lens, his pupils swam about like fish in a fish bowl in their encumbrances of water. In spite of this, his eyes could penetrate deep into your soul. so you suspect. He carried a two to three days’ growth of beard, which looked a little rough to the touch. His clothes were crumpled and a little threadbare. When Patrick Kavanagh spoke, his voice was rough and gravelly, as though he had chronic laryngitis. After about half an hour or so, Paddy took his leave. I stood up stiffly and formally shook his hand. I felt a little absurd and could not help feeling dissatisfied with myself. I looked after his retreating figure as he stepped out into the mild sunshine and was swallowed by the traffic. I sat down again, musing on our meeting. What a waste to have let such an opportunity pass, and to spend precious time mouthing inanities when I could have bared my soul! I don’t think I even gave the poet my name. He continued to know nothing about me! Paddy was making his laborious way, head bent, and looked weary and in pain. I greeted him and he acknowledged me after a second’s hesitation. We stood there exchanging small talk again, until I blurted out that I wanted to write poetry. I nearly beat my chest like Tarzan, Lord of the green beast-filled jungle! One barrage following another, like machine guns, rat- tat-tat! I was flabbergasted, being attacked like this. I didn’t know what to say. I was speechless with anger and humiliation. He must have noticed the effect on me, but still he carried on, though in a perceptibly gentler voice. a father’s voice. “You’re condescending, or you’re taking the mickey out of me.” I turned away and started walking towards the exit near Grafton Street. “Why do you say a cowardly exile? I would think the reverse is nearer the truth?” I said, quickening my steps. “Are you running away from me?” he asked, changing into a merry note, a twinkle in his eye. I stopped and waited for Paddy to catch up. I noted he was dragging his right foot, and that sometimes he winced in pain when a footfall was particularly heavy. At times I had noticed a shadow passing over his face like that thrown by a cloud upon a hillside. Of course, there was talk in town about Kavanagh’s poor health, that he had diabetes, hypertension and a bad heart. Someone should be taking better care of him. However, even in those early days of our acquaintance, I knew that one must not pity the old fella. Imagine a volcanic blast of hot burning lava erupting over you if you dare try. Yes, best keep the pity to oneself. We continued our slow stroll. I was very proud to be walking alongside the poet, conscious of the privilege. I fancied that something of poetry-making would accrue to me somehow. I was so young and superstitious then that I believed Patrick Kavanagh would simply pass off some of his poeticalness to me, that there would be a kind of effortless osmosis, a conjunction of invisible pores, emanating from the one to the other, through the skin, through the air. That there would magically be a transference so that I would write at last the necessary poems that would give meaning to my life and my death. Poems that would shake and transfix the whole bloody universe, no less. I asked my superior and elder practitioner of the art of poetry why he regarded exile as a cowardly act. Paddy heaved a sigh, then took a deep breath, in order to tackle this young nuisance, this foolish aspiring poet. I watched a smile grow into full bloom. Paddy was just like the rest of us, susceptible to praise and flattery. I felt chastened for being so ill-mannered and boastful. to make matters worse, I really had no evidence of my worth as a poet. But I did feel like a poet and I couldn’t explain it. He crossed down Dawson Street, and I went down Grafton Street. I felt in great need of a comforting pint of Guinness. Over the course of the next few weeks, I pondered over Paddy’s words. One night, unable to sleep, I rose and paced my room. I thought I was going crazy. After an hour or so of nervous pacing, I sat down and wrote in a frenzy. Words flew out of the air onto the page of the exercise book, myself only an instrument. I wrote burning with the creative process. When I finished writing, I calmed down and slept. the next morning, I read the two pages of verse. they were quite good. I had succeeded in writing my first poem. I felt drunk. I folded it, put it in my pocket and wherever I went, be it on the bus, or while listening to a lecture at college, I would read it, and edit it. I worked on the poem for about three weeks. One evening at the pub, I had the audacity to show it to a friend. He seemed surprised, congratulated me, and said it was not too bad. “Damn you!” I said, and stormed out of the pub. My first work of creation, and what did I do? Show it to an ape! I carried the bloody poem with me as though it was a valuable piece of jewellery. I could have walked into the path of a bus, so intoxicated did I feel. Then the heavens smiled on me. I met the editor of the college magazine who said he’d like to have a look at my poem. The upshot was that St. Stephen’s magazine published it. My first poem which filled the sky over all the denizens of Dublin! The day it was published, I peered surreptitiously at groups of people drinking coffee and imagined they were discussing my poem. I was so high I could have forgotten my name. Then I heard my name being called. It was Paddy. I grilled him that whole afternoon, and bits and pieces of his opinion danced dizzily in the smoky air of Davy Burns. I remember, apart from “not too bad,” he really meant that it was not good. Somewhere, amongst his words was his opinion. He got me very confused. Did he mean to say “not too bad” or “not too good” or “Bad” or “good” or “not bad” or “not good”? Finally, although my life depended on what he said, what he did say eventually did not merit my dying in the most exhibitionistic fashion. At length, another friend came and patted me on the shoulder and I did not know if it was in commiseration or admiration, but he bought me a pint. Then Paddy became very excitable and exclaimed out loud that we were going to have a wonderful night to celebrate the debut of the new poet. Paddy took over. In the course of that night, we pub-crawled through all our favourite haunts. Once we entered, Paddy would barge his way through the crowd and, standing in front of the counter, clear his throat and announce to all and sundry that they must congratulate me on this night of my debut as a poet. “A toast to the poet!” and some drunken fella would order a round for Paddy and myself. After half a dozen pubs, we ended up at McDaid’s. Paddy repeated his performance at the counter, albeit in a slur now, but he got the message across. This time, he pulled me by the hand and pushed me in front of a skinny middle-aged woman who was perched on a folded rug on top of the radiator. She was puffing on a cigarette at the end of a long holder, à la femme fatale. She had a glass of wine in her other hand. She was obviously holding court in that corner of McDaid’s. “What did you say, Paddy?” she asked through a drunken fog. “He has promise,” Paddy defended. Later, Paddy informed me that the woman was Anne Yeats, the painter and daughter of W.B. Yeats. All that was in 1958. I did see Paddy now and again after that night at the Baggot Street pub but our friendship did not go beyond what has been described here. Paddy Kavanagh died in 1967. I heard that he was buried in his beloved Monaghan. I grieved for Paddy and imagined how glad he would have been to return to his ancestral home at last. And what I was like to know. Reprinted by permission of Goh Poh Seng’s estate and NUS Press, the story appears in Goh Poh Seng’s Tall Tales and Misadventures of a Young Westernized Oriental Gentleman. An earlier draft of “A Star-Lovely Art” was published in the 2010 issue of Moving Worlds: A Journal of Transcultural Writing, for which Professor Koh Tai Ann served as guest editor.